Make a rational range of logs and frozen desserts. 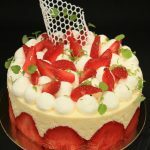 Make different mixes of sorbets, ice creams, ice cream, ice cream mousse and cookies. Combine the different flavours and textures to create a tasty and varied range of desserts and iced logs. 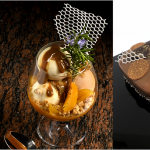 Creation of a complete range of logs and frozen desserts with various flavours and textures. Realization of different mixes of sorbets and ice creams, biscuits, interiors, glazes, coulis, etc. Design of simple, aesthetic and quick to set up sets. 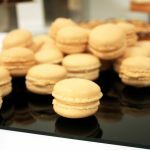 Un classique de la pâtisserie française, revisité par le Chef Jean-Christophe VITTE !